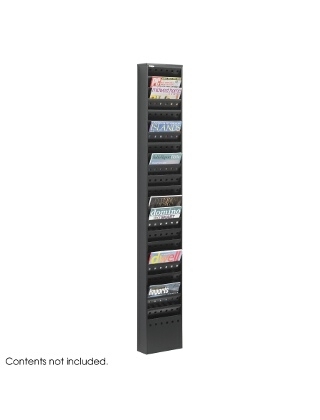 The steel magazine rack with is attractively designed with pockets to display literature. Perfect for office organizing, guest and reception reading materials, or school resources. Mounts to a wall or can stand on the floor with a steel base.